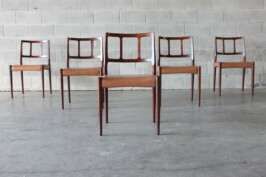 A nice set of six dining chairs which consists of x2 carver armchairs and x4 standard dining chairs. 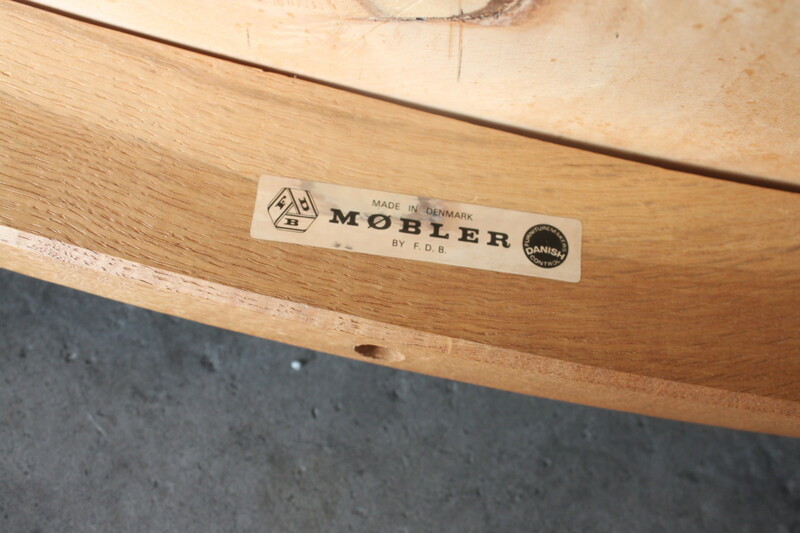 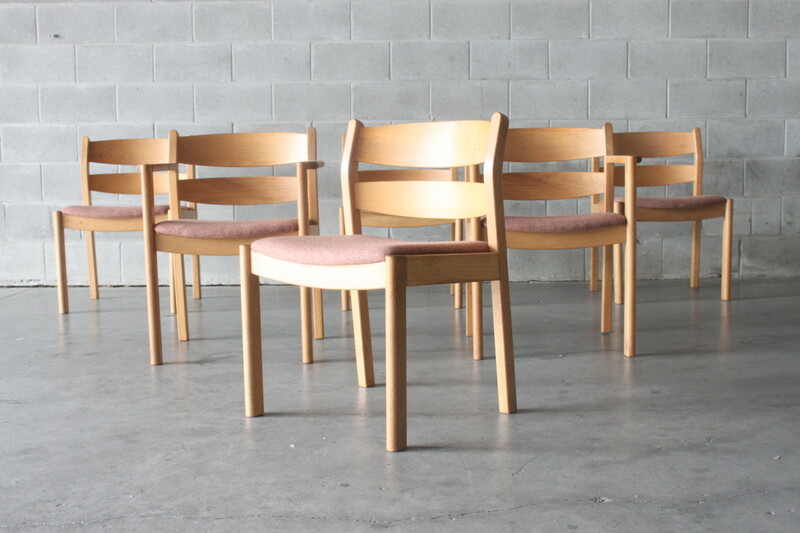 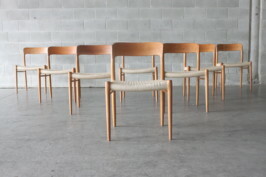 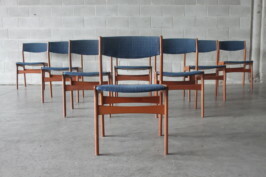 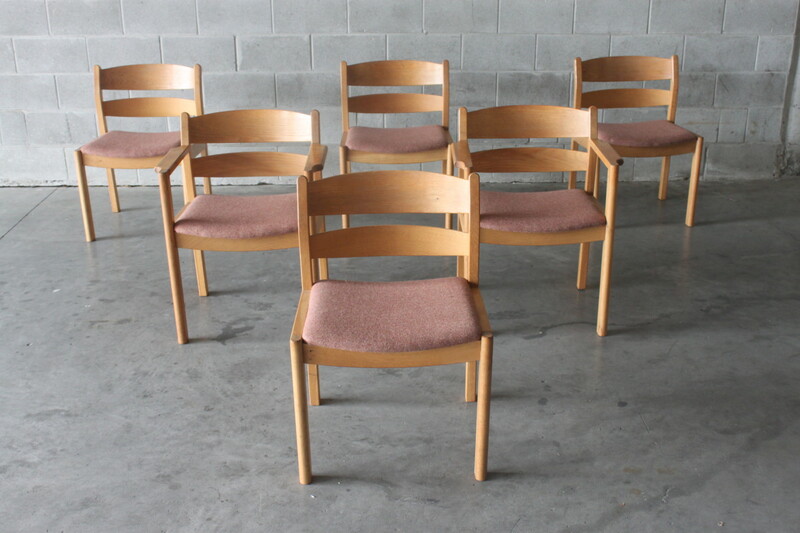 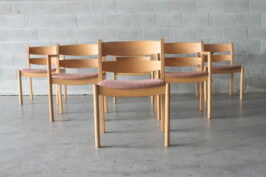 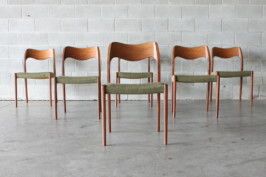 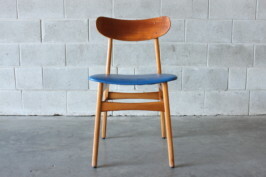 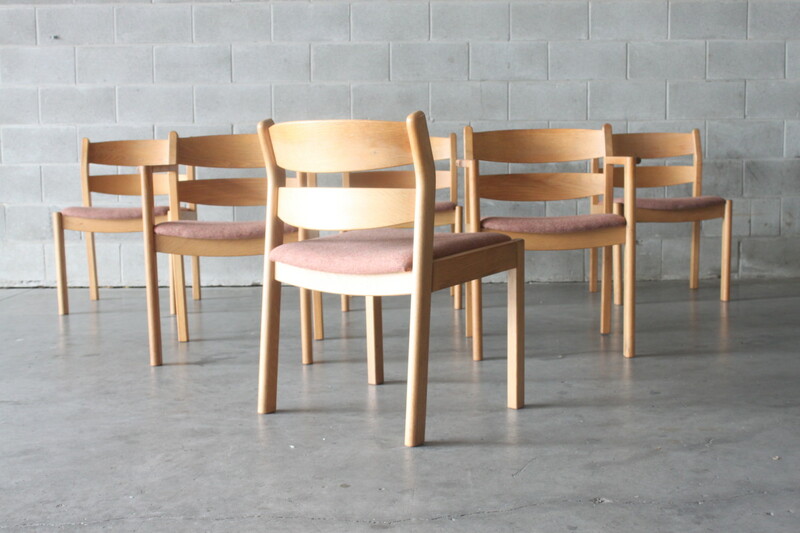 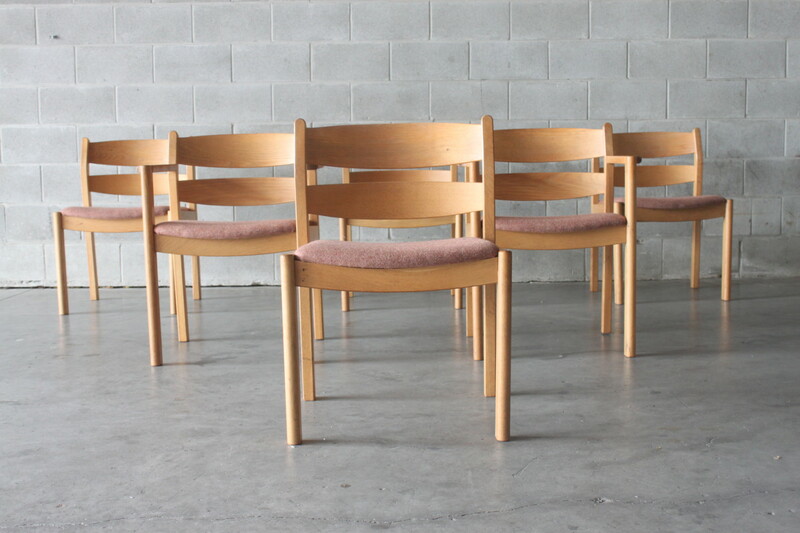 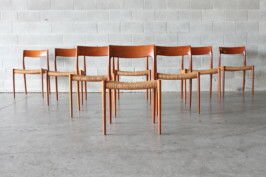 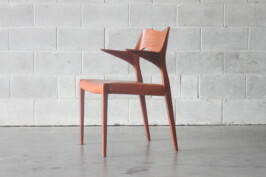 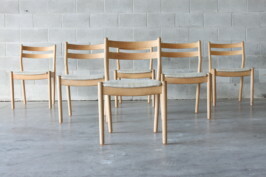 These are by designer Kurt Ostervig for FDB Mobler and made of oak and the chairs are very solid and comfortable. 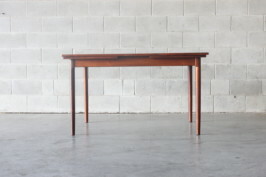 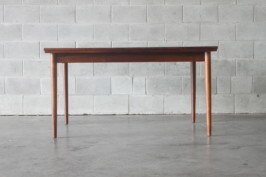 Pair this up with our round extension Kurt Ostervig dining table.